Russia joins the OECD’s Working Group on Bribery | Russian Legal Information Agency (RAPSI). PARIS, May 25 - RAPSI. First Deputy Foreign Minister of Russia Andrei Denisov and Secretary General of the Organization for Economic Cooperation and Development (OECD) signed the documents required for Russia to participate in the OECD’s Working Group on Bribery. The event marked Russia’s first step toward accession to the group’s convention. U.S. Secretary of State Hillary Clinton expressed delight at the prospect of welcoming Russia as a full member in the OECD Working Group on Bribery. She observed that Russia’s membership is important for both Russia and for all members and partners of the OECD. “By enacting legislation that criminalizes the bribery of foreign public officials, Russia has removed a major obstacle to doing business and advancing economic growth,” she said. The OECD’s Working Group on Bribery includes 38 member-states. The organization’s Anti-Bribery Convention was signed on December 17, 1997 and came into force on February 15, 1999. 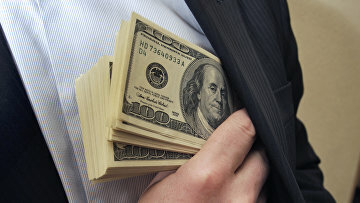 The Convention enforces the criminalization of the bribery of public officials, allowing for the prosecution of both those entities which give bribes and the officials who take them. Maxim Medvedkov, a representative of the Ministry of Economic Development emphasized earlier that Russia’s accession to the Anti-Bribery Convention would not require the amendment of domestic law, as recent amendments to Russian law have already brought the country’s legislation into full compliance with the OECD’s standards.